Easycare is a one-stop platform that connects healthcare care receivers and caregivers. It is an online marketplace with matching, scheduling, payment and call center services. With a passion to serve the society and transform the healthcare servicing industry with tech, the one-stop platform provides reliable and affordable healthcare services to households. After the success of winning the Social Impact regional category at the Asia Social Innovation Award, Easycare will be launching more care services soon, and believes it will be active in Singapore, the Philippines and Australia in 2 years. The daily life at Easycare is very dynamic, as one day they might be building partnerships with governmental organizations, and the next day they are talking to caregivers of the elderly in order to understand their needs and educate them on practical healthcare. “It is a challenge every single day and we believe over time with collective effort, each of our small actions can combine and make a great impact to the society” says Xiayi Zhang, Co-Founder and CFO. 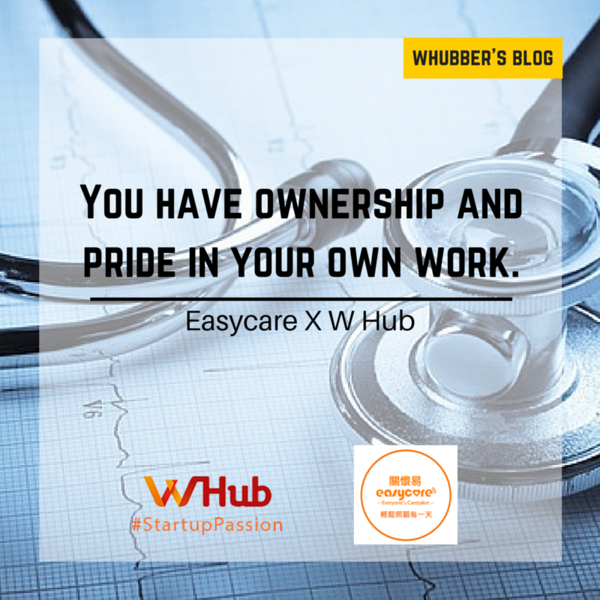 Easycare also collaborates with other startups such as Acesobee on health record tracking and Longevity Design House on home renovation for the elderly. Easycare believe that understanding customers’ need and service quality is of vital importance. “We understand customers’ pain,” says Xiayi. “Thus we have built a product that can tackle the existing problem with user-friendly design”. Easycare team members have been personally effected by shortcomings in the healthcare system, and now want to help others handle the pressures of caring for loved ones. Because of trust families put in external caregivers, Easycare conduct interviews with all caregivers. They run background checks on their identification, certifications and test their experience with a practical exam. Despite the challenges of startup life, Xiayi says that the knowledge that they are helping society keeps the team going. Being a startup also challenges them to learn something new everyday. 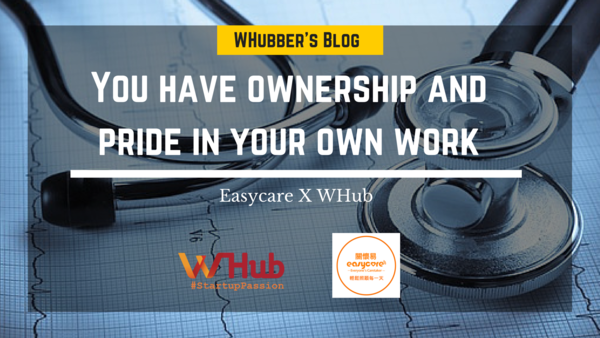 “You have ownership and pride in your own work.” Says Xiayi.